Accelerate Your Modern Selling Skills With Our Free Resources! Can a single word choice materially change the way your customers react to your sales and marketing messages? Specifically, should you use the word “we” or “you” to underpin your customer conversations? Salespeople recognize the branding value of content marketing assets. But, the sales team needs content they can use to engage buyers one-to-one. We call this Content for Sales. It’s content salespeople love because it enables them to engage in conversations with their buyers. Increase Your LinkedIN SSI to 100! Want to crack the code on LinkedIn’s SSI and learn how you can drive your Social Selling Index up? 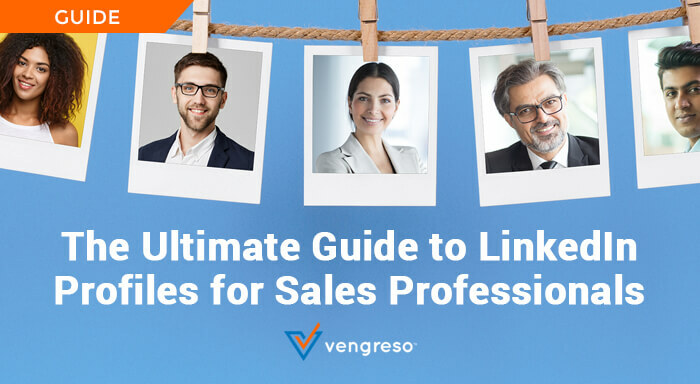 Never guess again using The LinkedIn SSI Guidebook from Vengreso. The Vengreso 10 step digital sales program is uniquely designed to get the buy-in you want from the sales team. Our proven method creates behavioral change and measurable outcomes that prove return on investment. Review the diagram below along with the explanation of each step…. Simple steps to writing headlines that convert. Download our one-page guide and start writing better headlines today. Use for blog posts, white papers, videos, articles, webinars and more! Learn how to create more sales leads. Create more sales leads. Create faster conversions. Convert throughout the buyer’s journey. Publish content salespeople will use. Vengreso has partnered with Selling Power to provide you a FREE 1 Year digital subscription to the leading source for sales strategies, tactics, motivation and sales success. In addition, look out for our Digital Sales Transformation content in each month’s subscription! Adjust the variables until you arrive at the mix of activities that works for you and your sales goals. How Does Your Sales Team Go from Prospective Vendor to Trusted Partner Status with the Marketing Executive Buyer? If you’re a sales leader with solutions for marketing leaders this is an online event you won’t want to miss. We’ve got Darryl Prail joining the one and only Mario Martinez Jr. of Vengreso to help push the power of social selling. Don’t be that person on LinkedIn — get the recording NOW. Kurt Shaver, co-founder and Chief Sales Officer at Vengreso, the leader in digital sales training, will reveal why today’s seller needs to be proficient at digital engagement and how Vengreso’s Gold Stevie Award winning 10 Steps to Digital Sales Training creates sustained behavior change. Cold calling vs digital prospecting is a powerful debate dividing the sales world. Some are looking to old-school cold calling, while others say the modern salesperson only needs LinkedIn and digital prospecting to build pipeline.